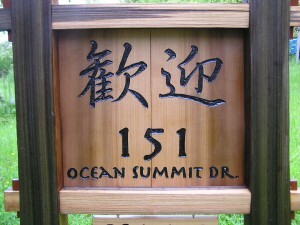 This Japanese inspired address sign is styled like a Torii Gate (a traditional Japanese entrance to a sacred space) and ‘welcomes’ all to the property with the Japanese characters. 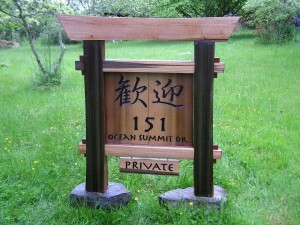 It was commissioned by a client in Guam and now adorns their driveway. 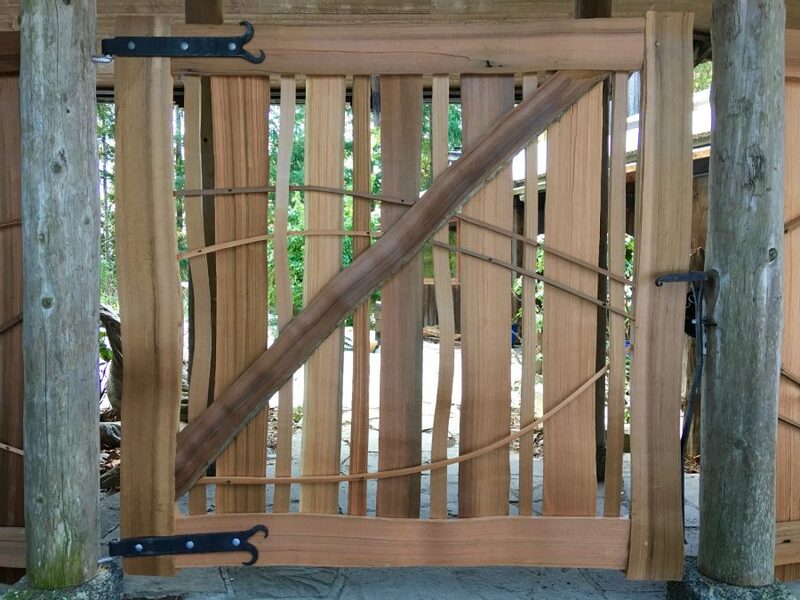 The sign is made from all reclaimed red cedar, split by hand, and using mortise and tenon joinery with wood pegs. You can see that I have again used some of the amazing multi-coloured cedar that I salvaged recently and used in the Schaeffer Bench project. The different colours in the wood make for wonderful contrast in the woodworking. 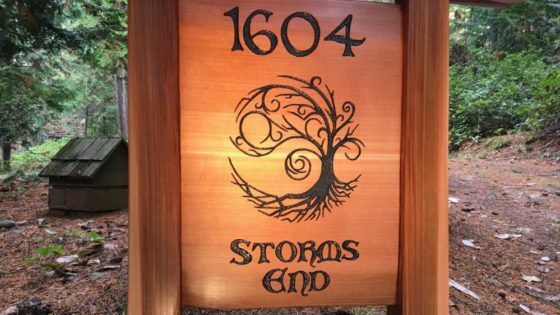 I carved the design into the cedar, then painted the lettering with a high quality sign paint. 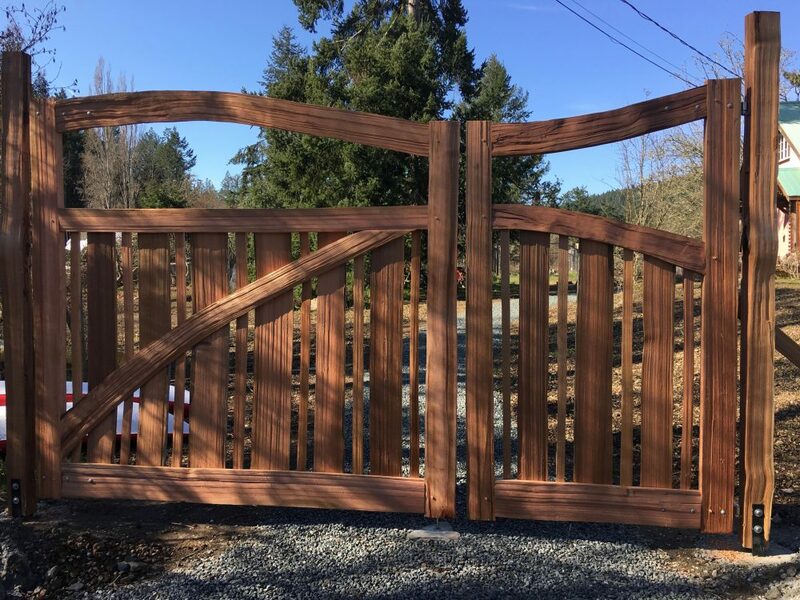 We have some good friends who are a wonderful Japanese family that live a few houses down the road from us, and are also in our homeschooling group, the Kikuchi’s. (you may have noticed a recent blog I posted about their Frog Song Forest covenant sign) They helped by teaching me the characters for ‘welcome’ in Japanese. These characters are so beautifully designed, and seem to go so naturally within the cedar Torii gate. 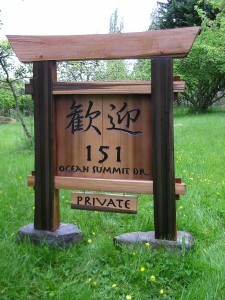 The sign is again finished with Landark natural oil exterior finish.